We're in the car business because we care about cars but, more importantly, we care about serving your needs so that you can enjoy driving your car as much as we do ours. Put simply, we remember the thrill we first got – and still do – when we took the seat of a well-built Chevy and accelerated. Our greatest wish is that you can feel the thrill of these awesome machines as well, whether you're on a road trip to parts unknown or heading to work on a Wednesday morning. 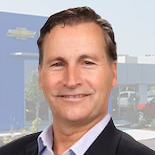 Lanoue Chevrolet is a family-owned new Chevrolet and used vehicle dealership in Tilbury ON, and we carry the full Chevrolet line of vehicles, everything from cars like the Chevy Cruze and Chevy Malibu to the Equinox crossover to the Silverado pickup truck. We also carry high-performance cars like the Chevy Camaro if you're looking to indulge your sporty side. To get in touch with us and our friendly sales staff, we'd love to see you on the lot, but you can also call us or send us a message online. At Lanoue Chevrolet, we always have special prices available for vehicle shoppers. Come to see for yourself on our lot in Tilbury ON or check our website for updates. This way, we can keep you posted as new special prices are posted. We carry pre-owned Chevrolet vehicles, but we also typically have a variety of models from other automakers like Cadillac, Buick, Ford, and more. We have great vehicles available for less than $10,000 but we also have priced-to-own and high-in-demand vehicles available for under $20,000. Are you worried about finding the money to make monthly payments for your Chevrolet? There's no need to worry with our bountiful financing options in order. We take vehicle trade-ins, we can get you pre-qualified for credit, and we will get you set up with a fair pricing plan that helps your wallet and gets you into the vehicle you crave. We are here for more than just vehicles sales. No matter what your vehicular repair questions or needs are, we're ready to handle them for you at Lanoue Chevrolet with our GM certified technicians. We carry GM Certified parts and accessories, and you can set up an appointment online to make getting your ride back on the road as easy as a mouse click. When you grow up working in the family business you learn a lot about how people like to be treated. I like to think that I follow the example my father set in developing Andre Lanoue Pontiac Buick GMC into such a successful operation. Treat your employees and your clients with respect and appreciation and you can't go wrong.